The Journey To The East by Hermann Hesse is the story of a trip through time and space, carousing through the windmills of Hesse's mind with not only friends of his youth but also with characters from books. 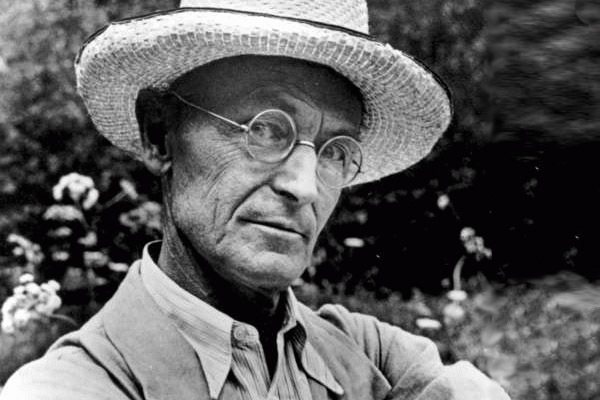 By 'the East', Hesse means not only a geographical place but the home of his youth and his soul, moving from his present day through to the Middle Age and the Golden Age and back again. 'The East' is 'everywhere and nowhere and the the union of all times'. Along the way he comes across such things as Noah's Ark, found amid the tramways and banks of Zurich, guarded by dogs all bearing the same name. He visits a Chinese Temple where incense holders gleam beneath a bronze Maja and a black king plays flute sweetly to the vibrating tone of the temple gong. He roams through Germany, France, Italy and Switzerland; through 'the heroic and the magical'. He rides with Sancho Panza, swims with mermaids and bears witness to miracles. Hesse makes his journey alongside fellow members of what is termed 'the League', an ancient, semi-secret society numbering at times thousands and at other times just small groups. It's whilst travelling with one such group that one of the members, by the name of Leo, suddenly disappears. Though Leo just like all other members of the League is on a personal quest of his own, he's with the group working as a servant, his job being to carry luggage. With his disappearance along with a bag containing valuable items, his importance to the journey and to the group is realised by Hesse and the other members, leading to them arguing amongst themselves and falling out with each other. The journey to the East is abandoned and Hesse is left for the rest of his days without meaning or purpose to his life. His attempts to write about the journey to the East and to document his experiences with the League fail as he finds it impossible to put it all into words. He finally, however, meets Leo again one day and all is revealed to him: The servant, Leo, is in actual fact the President of the League and his disappearance when in the role of a servant along with the valuable items in the bag was actually of no real importance. The important thing was the journey and whilst the servant may have abandoned Hesse, it was Hesse who had abandoned the journey. 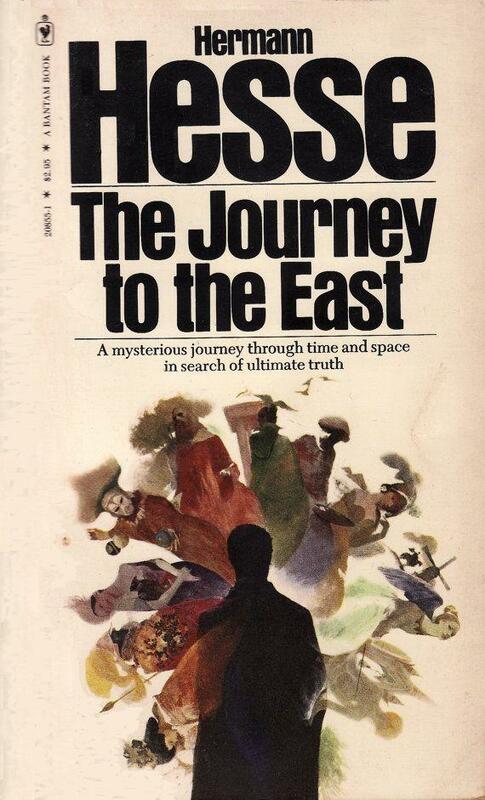 In Tom Wolfe's book The Electric Kool-Aid Acid Test it gives mention to The Journey To The East as being a book owned by Ken Kesey that all of Kesey's fellow Merry Pranksters read. They all identify with it because like Hesse they too are on a journey to the East just as Hesse was so obviously - as they call it - 'on the bus'. Hesse, like Jack Kerouac, was 'on the road'. They are all of them on a trip, turned on and tuned in. From Hesse, Kesey, Kerouac and all the Merry Pranksters to all the characters as mentioned in Hesse's book: Zoroaster, Lao Tse, Plato, Sancho Panza, Xenophon, Pythagoras, Don Quixote, Tristram Shandy, and Baudelaire. No wonder Timothy Leary rated Hesse. Of course, anyone can write a book about the meaning of life. It's easy. The genius of Hermann Hesse, however, is that The Journey To The East is about the losing and the forgetting of the meaning of life and we can all identify with that, can't we, because we've all done it? We've all been there at one time or another even if only fleetingly. The secret is in the remembering and it's for this reason why The Journey To The East remains to this day a classic of modern literature.